Image from the the BBC series "Out of the Unknown" (s02e01), The Machine Stops. I couldn't find the movie. Maybe it's part of the DVD-box. “The Maschine Stops” is a short story that influenced and defined a whole genre. I was made aware of this story by Jaron Lanier. It’s a great read and if you don’t have the nerve to read online listen to the audio dramatisation below that was produced in 2001 by the BBC or the full audiobook read by Jerome Lawsen. Edward Morgan Forster (1 January 1879 – 7 June 1970) was an English novelist, short story writer, essayist and librettist. 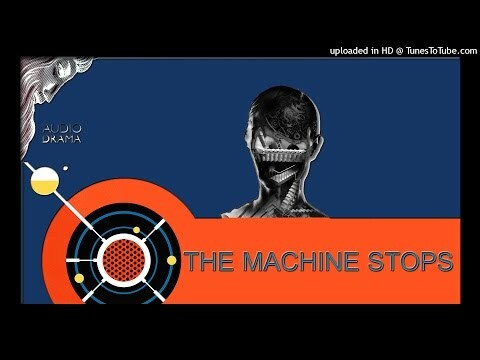 "The Machine Stops" is a science fiction short story (12,300 words) by E. M. Forster. After initial publication in The Oxford and Cambridge Review (November 1909), the story was republished in Forster's The Eternal Moment and Other Stories in 1928. After being voted one of the best novellas up to 1965, it was included that same year in the populist anthology Modern Short Stories.